The first 500 customers to arrive at each remodeled Covington and Mandeville Winn-Dixie on Saturday, Sept. 8 will receive a mystery gift card valued between $5 and $500. The first 250 attendees to arrive to the Community Celebration Event for Winn-Dixie Day hosted in the parking lot will receive a free Winn-Dixie mystery gift card valued between $5 and $500. Activities include a charity Giant Jenga Tournament where the community can play for a chance to receive $2,500 to donate to a local charity of their choice, free food sampling from local favorites including Jambalaya by Jambalaya Girl, Abita Root Beer Floats, Chisesi Po’Boy Station, “mocktail” samplings and more. Other Community Celebration Event festivities for Winn-Dixie Day include live entertainment by local favorite River City, special performance by renowned singer and fiddler Amanda Shaw, appearances by the Mande Milkshakers and much more. New façade signage and a fresh, contemporary color palate and modern store signage inside. 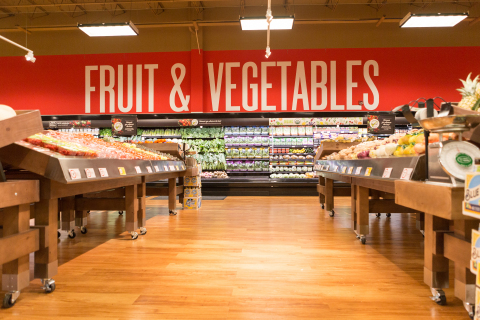 Newly updated farm-fresh produce department with an expanded selection of fruits and vegetables, including organic varieties. Improved deli with expanded grab and go meal options for added convenience. Wide assortment of easy lunch and dinner options, including a hot bar with rotisserie chicken, wing bar with an assortment of flavor varieties, Smokehouse BBQ and ready-made salads are available on the go. Expanded bakery department with new selections, displays and fresh bread daily. New SE Grocers Naturally Better product selection, offering a large variety of gluten free, organic and natural products. Expanded beer selections including craft beer and a variety of fine wine selections. Full-service meat department with a butcher on-site to make fresh cuts of meat by request. Updated seafood department with new expanded seafood varieties including fresh, whole fish and the option to select a convenient “Seafood Made Easy” meal to cut down on cooking time at home. New Health and Beauty section with expanded offerings. Updated floral department with a fresh, new look and a wide variety of new products arriving daily. Continued commitment to fresh quality and outstanding service. The new and improved Hwy 59 Winn-Dixie is open from 6 a.m. to 10 p.m. The Hwy 21 Winn-Dixie is open from 6 a.m. to 11 p.m. and the Collins Blvd Winn-Dixie Is open from 7 a.m. to 10 p.m. All locations are open seven days a week. Founded in 1925, Winn-Dixie grocery stores, liquor stores and in-store pharmacies serve communities throughout five southeastern states - Alabama, Florida, Georgia, Louisiana and Mississippi. Winn-Dixie Stores, Inc. is a subsidiary of Southeastern Grocers, which is one of the largest supermarket chains based in the Southeast. For more information, please visit www.winndixie.com and www.segrocers.com.